The dichloromethane extract of Cinnamomum cebuense afforded α-terpineol (1), 4-allyl-2-methoxyphenol or eugenol (2), humulene (3), 4-hydroxy-3-methoxycinnamaldehyde (4) and a monoterpene (5) which were evaluated for cytotoxicity against colon carcinoma (HCT 116). Compound 4 showed moderate cytotoxicity against this cell line with an IC50 value of 18.8004 μg/mL, while 3 and 5 exhibited slight cytotoxicity. Compounds 3 – 5 were further tested for cytotoxicity against non-small cell lung adenocarcinoma (A549) and non-cancer Chinese hamster ovary cells (AA8). Sesquiterpene 3 exhibited moderate cytotoxicity against A549 with an IC50 value of 23.1964 μg/mL, 4 indicated slight cytotoxicity, while 5 was non-toxic against this cell line. 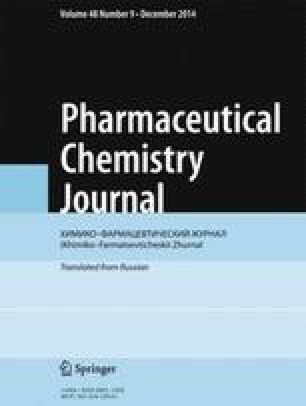 Compound 4 showed moderate cytotoxicity against AA8 with an IC50 value of 20.4837 μg/mL, while 3 and 5 exhibited slight cytotoxicity. Compounds 1, 2 and 3 were active against bacteria Escherichia coli, Pseudomonas aeruginosa, Staphylococcus aureus and Bacillus subtilis and fungi Candida albicans and Trichophyton mentagrophytes, but were found inactive against Aspergillus niger. Sesquiterpene 3 was the most active against E. coli, P. aeruginosa, S. aureus, C. albicans and T. mentagrophytes, while 1 exhibited the highest activity against B. subtilis, even surpassing the activity of the standard antibiotic chloramphenicol. The antimicrobial tests were conducted at the University of the Philippines – Natural Sciences Research Institute. The MTT assay was conducted at the Institute of Biology, University of the Philippines, Diliman, Quezon City. A research grant from the Accelerated Science and Technology Human Resource Development Program of the Department of Science and Technology of the Philippines is gratefully acknowledged. The authors are also grateful to the Philippine Department of Environment and Natural Resources Region VII Office for the permit (Wildlife Gratuitous Permit No. 2011 – 01) granted to collect the sample. PBSP Reforests Tabunan, Preserves Cebu’s Environmental Heritage. Retrieved January 24, 2011 from the World Wide Web: http://pbspvro.blogspot.com/2009/07/pbsp-reforests-tabunan-preserves-cebus.htm.